A Slice of Life: M&M's Choco Candies with Peanuts = YUM! 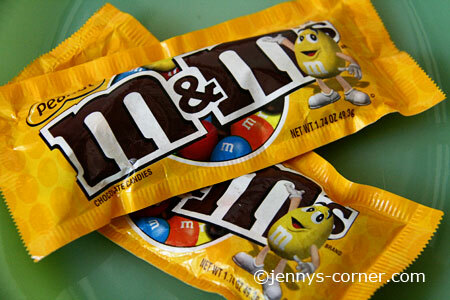 M&M's Choco Candies with Peanuts = YUM! Ahhhh my love >>> M&M's Choco Candies with Peanuts! I'm not that a choco addict but this M&M will surely melts in my mouth. I can eat 2 packs in just one sitting, not minding that I will gain extra pounds by doing that. At least with my physique, I don;t need any weight loss product to keep my weight down because I not that big. I don't fancy much about those pure chocolates for they are too sweet for me but my whole family loves any kind of chocolates. From time to time my sis and BIL are sending tons of chocolates from Riyadh bec. they know that my family loves choco so much.